I’m not a liar, I really planned on sharing more paint projects last weekend. Life got in the way. Important stuff. But I’m back now and have lots of artsy stuffage to send you through the wifi. Many, many moons ago I had cancer as we all know. It made me decide to finish stuff and not let it languish in corners and closets. Then I got lazy for awhile. Don’t we all? The plethora of UFOs in my house got out of hand during that time, so I have been doing the BIG PUSH to get them cleared up and created before summer hits. Summer means gardening, and my friend Martha wanted these garden markers like reaaaaallly badddddd. I love em! Little toadstools and all rainbowy type colours too. Martha is planning on a few photos after the sprouts come up ~ they’ll be even sprucier and cuter then. I just loved that they were were a quick make. Very valid indeed…I think it’s time to celebrate my 418th post. 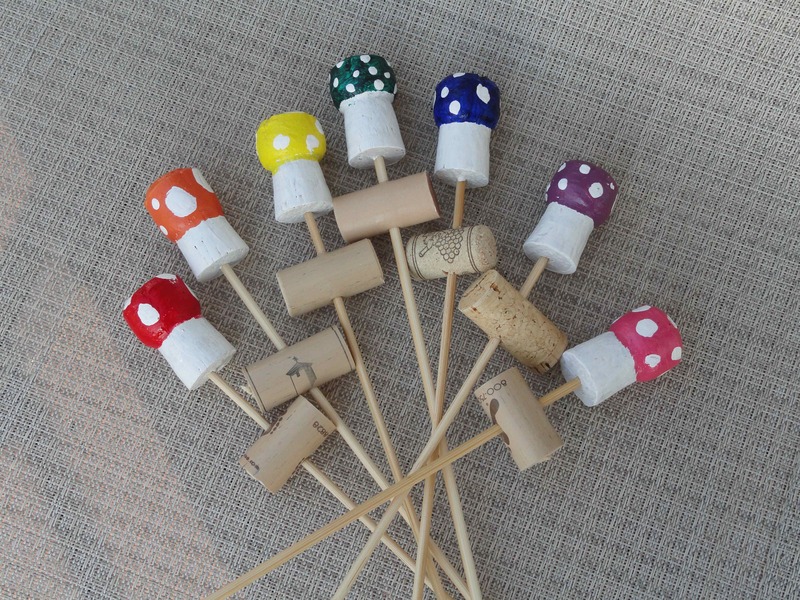 Let’s pop some corks! You were my inspiration!!! I just need to finish writing them on little pieces of paper and pulling them from a hat…I’ll get right on that or it will end up on the list too. Previous Previous post: crochet:: yo yarnchick, where you been?